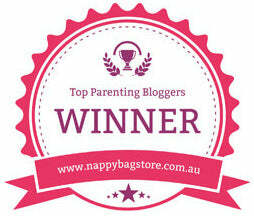 News of my recent review posts has reached as far as the lovely people at Aunt Bessie's. I was sent some vouchers and asked to buy and test some of the well-known food range as part of their "host-a-roast" challenge. I must admit that we love our Sunday dinner together as a family and I am very proud of my cooking skills, even if they don't extend much further than basic home cooking. It is also an opportunity to give Kev the day off because he prepares our evening meals during the week. I was really looking forward to these as we love our roasties in this house. They were crispy on the outside and fluffy on the inside as promised after 30 minutes of cooking but there was a distinct difference between the small potatoes and the larger ones - the larger ones tasted every so slightly underdone. We also felt that there wasn't enough in the packet for us all to have a few each (I have growing boys who can eat me out of house and home) because one very large potato took up most of the weight of the pack. 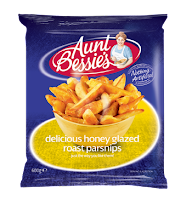 I have since found out that Aunt Bessie's make a "mid week mini roasties" product which may have suited our preferences better. Hubby's favourite and these make a lovely change to other veg that we usually have (cauliflower, broccoli, sweetcorn). I roasted them for the recommended 30 minutes and the smaller ones were great with lovely crispy edges. 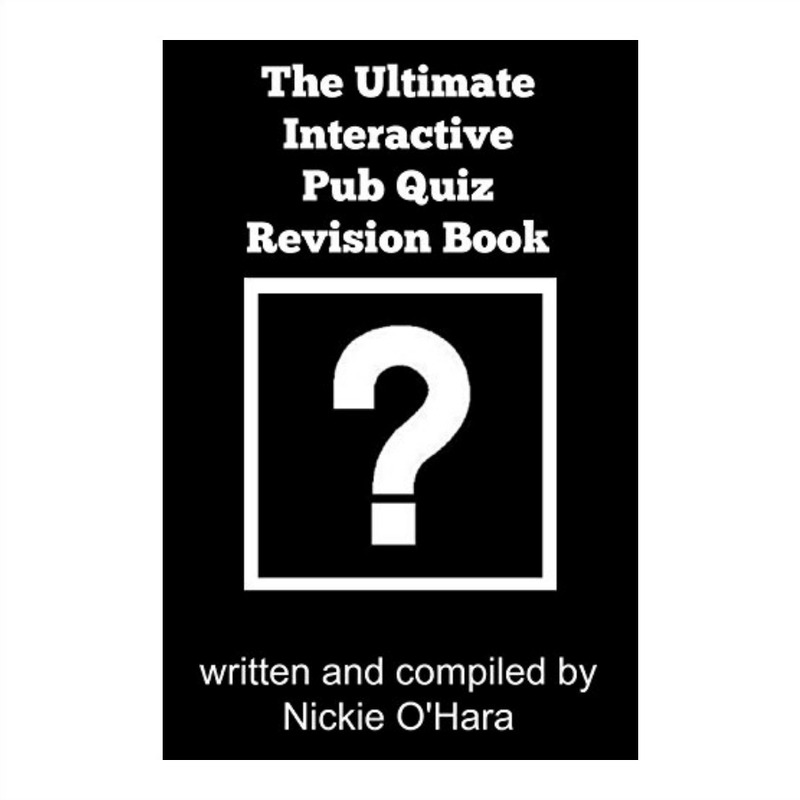 The larger ones could have done with a few extra minutes so, again, sizing caused a bit of a disappointment. They tasted lovely though - the honey glaze was sweet but not too overpowering. I wimped out with these and followed the instructions for the microwave (3 minutes) but found that they needed slightly longer. They "mushed" up well but we found that the taste of the swede overpowered the carrots - we would have preferred it the other way around. They needed a touch of butter and black pepper too but that may be just the way we like them. No effort needed to actually make it though. I am always amazed at frozen yorkshire puddings, no matter who they are made by, simply because of the way they have risen and how they retain their crispiness. They always seem a bit too perfect. My own yorkshire puddings are legendary and the recipe is used and loved as far afield as South Africa so these had a lot to live up to. They took exactly (the recommended) four minutes to cook, were really crispy and kept their shape when filled with gravy. 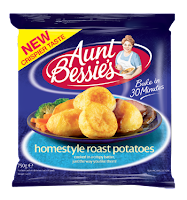 If the team at Aunt Bessie's were looking for general feedback I would say that they have to watch the cuts of vegetable in the packets. The "average" cooking time doesn't work for the mixture of large and small cuts of food and you risk overcooking or undercooking some of the products. The whole point of using pre-prepared food is to make life easier and for the food to taste as near to perfect as possible. I know they represent the "rustic" look of home-cooked food but when I'm slicing and dicing I manage to cut everything to a similar size so that it cooks evenly. 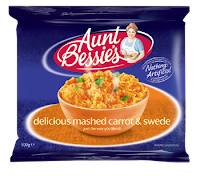 I was hoping to recommend the Aunt Bessie's range as a timesaver on Christmas Day. These products are great as an emergency stash if you have extra guests or even to cut corners for a mid-week meal but they won't be replacing my Christmas lunch.